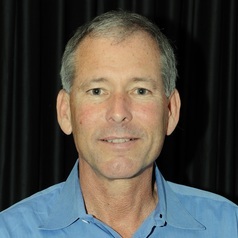 Dr Paul Bertsch joined CSIRO in 2013 as Chief of the Division of Land and Water and in July, 2014 he was appointed Deputy Director-Science of the new Land and Water Flagship. The Flagship brings together a diverse team of approximately 700 scientists and technical specialists from across CSIRO and builds enduring partnerships with industry, government, and other research providers to generate the science which underpins sound stewardship of land and water resources, ecosystems, and the built environment. Dr. Bertsch has championed inter- and transdisciplinary research approaches that integrate land, water, ecosystems, cities, social and economic sciences, environmental contamination, earth observation, and climate adaptation to address the grand challenges facing Australia and the global community. Prior to joining CSIRO in 2013, Paul was the Director of the Tracy Farmer Institute for Sustainability and the Environment and Professor of Environmental Chemistry and Toxicology, University of Kentucky, Lexington. He is the Georgia Power Professor of Environmental Chemistry Emeritus at the University of Georgia, Athens and is an adjunct Professor of Environmental Systems Engineering and Science at Clemson University, South Carolina. Dr Bertsch has 30 years of experience in the fields of soil science, environmental geochemistry, and hydrobiogeochemistry. His research has focused on the fate and transport of metal, metalloid, radionuclide, and organic contaminants, the biogeochemistry of natural organic matter, iron, and aluminium in aquatic and terrestrial environments, and the chemical speciation and ecotoxicology of metals, metalloids, and manufactured nanomaterials in terrestrial ecosystems. He also has significant international science administration, leadership, and policy experience. Paul has authored or co-authored more than 300 scientific and technical publications and is an elected fellow of the American Association for the Advancement of Science (AAAS), the American Society of Agronomy (ASA), the Soil Science Society of America (SSSA), and the International Union of Pure and Applied Chemistry (IUPAC). He is also a lifetime National Associate of the United States’ National Academy of Sciences (NAS).